Everyone desires beautiful skin. For that one has to put the extra effort taking out some time from day-to-day chaos and to-do-lists, right? Most skin types need a regular face clean up for that healthy radiant look. Make sure you follow the age old principle of cleaning. No matter the season, deep cleansing is essential for beautiful skin. Here is an effective way (step by step) on how to sanitise your facial skin naturally at home. Have a look and follow. Cleansing: Apply a natural home-made cleanser on your skin. An apple based cleanser is good for dry skin, honey-lemon based cleanser for oily skin and a cucumber based cleanser for normal skin. You may also use plain yogurt to cleanse your skin from inside out. Application of baking soda (2 tsp) mixed with water (1 tsp) can also deep cleanse your pores and exfoliate your skin gently. Rinse with water. Pat dry with a soft towel. Steaming: Bring a small pot of water to a boil. Pour the steaming water into a bowl. Add essential oils and herbs. Steam your face with a towel over your head. It will open the pores and loosen the dirt inside the pores. Scrubbing: Squeeze out one tablespoon of toothpaste (not gel). Mix it well with one teaspoon of salt. Apply this paste to your skin in circular motion. Leave on the skin for 10 minutes. Rinse off with warm water. Pat dry the face. This facial scrub can make your skin feel more beautiful, youthful, soft and glowing. Face pack: Mix one teaspoon of sandalwood powder with two teaspoons of fuller’s earth powder. Add a dash of turmeric powder as well. Add milk or lemon juice to make a smooth paste. Apply it on your face and keep until dries off. Wash with cold water and pat dry. Toning: Lemon juice is naturally acidic. You can help exfoliate to brighten your skin by applying it directly to your face. Let it sit for few minutes. Rinse off with cold water. You may do this daily to improve your skin tone and complexion. Moisturising: Making your own moisturisers is a good idea. This way you can control the kind and quantity of oil with the change of season. Raw organic honey is naturally anti-bacterial and full of antioxidants, making it a potent fighter of wrinkles, aging skin, irritation and blemishes. You may also apply cold buttermilk on your face. Let it rest for 10 minutes. Gently rinse and pat dry. You may also apply castor oil or raw, unrefined, virgin organic coconut oil for great moisturising without leaving your skin feel greasy. This home remedy is not only cheap but also quite effective in cleansing, nourishing and hydrating your skin back to a healthy state. 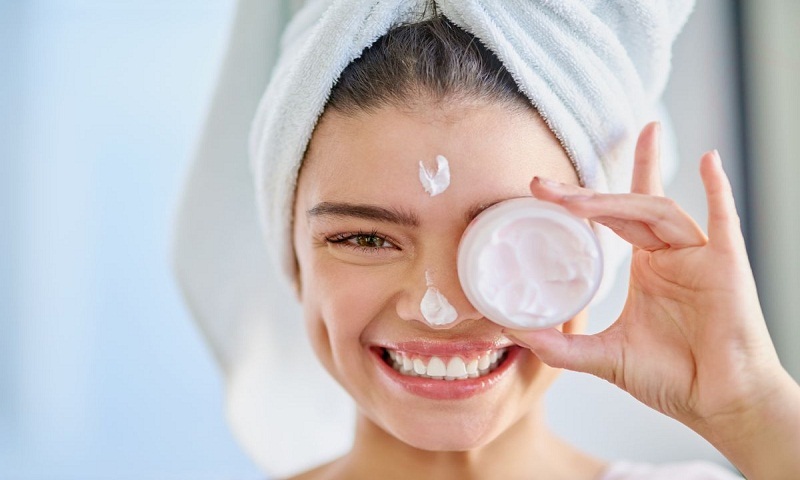 It’s a treat you can give to your skin without using harsh chemicals and additives found in store-bought products, you have less chance of experiencing a negative reaction. Also, you know exactly what you’re putting on your skin. Before running to the closest store, look around your home first, you can find natural cleansing ingredients in your own kitchen. Stop buying expensive pre-packaged products. It’s true that proper cleansing is the key to glowing skin.